Welcome to the Den: Alex Witherden Introducing you to our newest Lion, Alex Witherden. Check him out in action. The Brisbane Lions have selected Geelong Falcons’ Alex Witherden with pick #23 at the NAB AFL National Draft in Sydney. 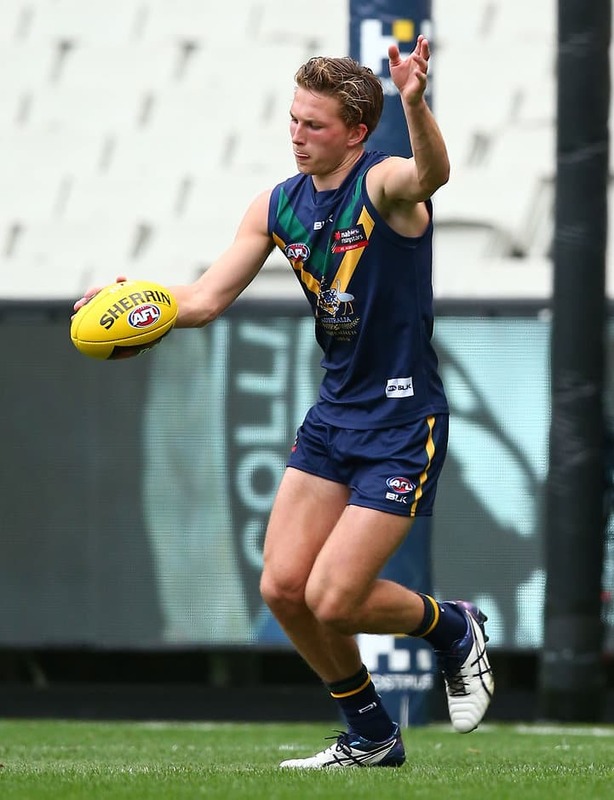 After a promising second half of last season saw him elevated to the NAB AFL Academy, the composed half-back entered 2016 keen to move into the midfield. But those hopes were ended by a broken leg in May, which saw him miss the rest of the season following surgery. Witherden, is a prolific ball winner across half back. The 189cm hybrid is good offensively, but is also responsible going the other way. When up and going, Witherden is a poised prospect who can pinpoint passes from the back half and is trusted with the ball. He can direct a game with his foot skills and manages to think smartly through situations. Classy utility whose ball use by hand and foot is in the higher echelon of the group. Witherden broke his leg playing school football early this season and missed the final third of the year. Alex Witherden, the unlucky playmaker with ‘polish’, from the Geelong Falcons.